At the end of the day what lies behind and beyond happiness is passion. We know love is the best medicine but passion is the fire that ignites, drives and sustains joy. Take a look at my friend, Tami’s, guest blog. Tami and I met years ago when she opened the best cookie bakery shop on the planet. Ruby Snap was and is her happiness project. Watching her build a spectacular business through what lights her fire and adds meaning to her life has been a joy. Her cookies are insane. We buy her frozen dough regularly and have it shipped with love from Salt Lake City to Los Angeles. PASSION! It takes passion to make it real. True story. You can’t fake a genuine pursuit. 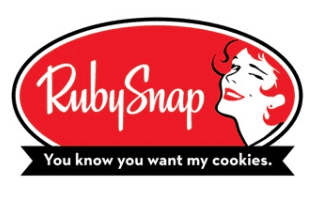 RubySnap is the real deal, day after busy, hectic, wonderful, thoughtful, insane day. We love what we do, all of us, but I guarantee either the journey would end, or it would cease to be as authentic without passion in the middle of everything. Passion supersedes goals. Goals can be set aside, passion lives within your bones, your mind, and your heart. You can’t shake passion, it follows you everywhere you go. My passion happens to be creativity and recipe development. Even when I don’t wish to be creating, I am. If I’m on vacation, out to eat, grocery shopping, sleeping, recipes are born and built from the simplest of life’s experiences. Passion is like my conscience sitting on my shoulder with a fervent tap, tap, tap, reminding me that I have a lucky job to do. Sometimes it is like a curse, but I am grateful for it. I’m certain it is the same drive that lives within music composers, software developers, most any genuine entrepreneur. There are days when I feel overwhelmed and I say to myself “I could walk, I have no loans and no debt. I could step away on move on.” The passion inside me won’t allow it. That is when one knows true passion exists, when you would cease to be who you truly are without chasing your passion. Tami Steggell is the founder of RubySnap Bakery in Salt Lake City, where fresh cookies abound in creatively distinctive fresh flavor combinations. She is originally from Arizona but spent much of her life in the Middle East and traveling Europe. Tami has a degree in Architectural Design from Brigham Young University and spent 15 years in that industry. She is now running a successful business since 2008, which has steadily grown from year to year. 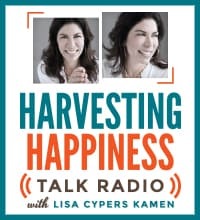 Tami has been a guest speaker on Harvesting Happiness for Hero’s Talk Radio, American Underdog Radio, at the University of Utah, Westminster College, BYU Hawaii, LDS Business College, NuSkin, as well as various TV segments on topics such as: Trademarking, Branding, Small Business Strategies, Entrepreneurialism, Passion, and Social Media. Tami’s mantra remains the same: If it isn’t wonderful it doesn’t belong in your mouth! 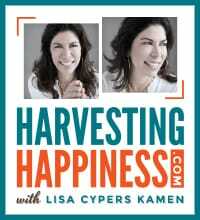 Check out Tami Steggell’s guest spot on Harvesting Happiness Talk Radio from November 2011.